Do people forget Mike Vick lead a team to an NFC Championship? More than likely. Oh, but they will remember he lead dog fights. 1. Vick is head and shoulders more physically gifted than Kolb, which makes him a better fit: Clearly. Better arm? Advantage Vick, not even close. I personally believe Kolb has a rather weak arm, definitely not NFL-material like Vick’s. Better legs? Do you really need an answer? 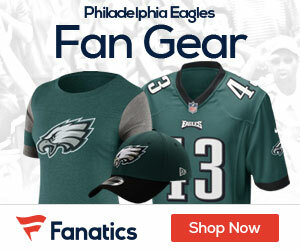 With the Philly line the way it is, Vick’s scrambling is not only welcomed, but needed. The Eagles are better off with a QB that can move, what better fit than Vick. Not only can he escape oncoming pass rushers, but he can elude defenders in the open field on his way to valuable yardage, first downs. His feet buy time, it buys the Eagles playmaking receivers more time to get open, as well as the defense more time. How do defenses game plan, defend against Vick, DeSean, LeSean, and Maclin? Nearly unimaginable. Next to impossible. He fits the Philadelphia vertical passing attack. With weapons like DeSean and Maclin, who have speed, he can air it out long for big plays. He can also fit in between the numbers on short crossing routes, as he makes opportunity outside the pocket. Vick’s arm + feet = a deadly, winning combination. 2. 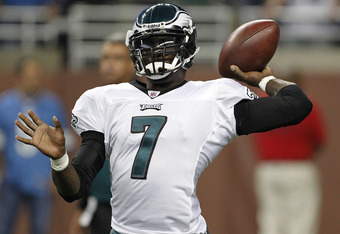 Vick’s a winner, he’s more proven than Kolb, and hungrier: Leading a team to an NFC title game. That’s what Vick can put on his resume. Kolb? Leading the Houston Cougars to victories? No contest. Mike Vick is a proven commodity. He can win. He’s more than capable of leading this team to an NFC East division crown. On top of that, he’s hungry. #7 wants to prove critics wrong. Wants to make ‘em forget about the dog fighting fiasco. Wants to restore his image, revitalize his NFL career, and prove the Eagles right. So much is on the line. With all that hanging in the air, don’t you think he’s going to want to succeed so much more? He’s dying to show us what he’s got. No reason not to believe he’s the man to lead this team. I trust Vick more than Kolb because he’s a winner. He will thrive under the pressure, he’s wired that way. 3. Time is ripe, time is right now, draft history is excellent: Vick gives the Eagles the best chance to win. So you can trade Kolb. With that being said, the value for Kolb will not get any higher. It’s only going to plummet if anything. So trade him now. You are in the driver’s seat. You have two starting NFL QB’s. 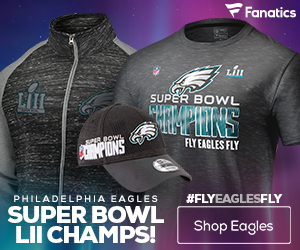 Some teams in the NFL can’t even say they have one, you have TWO. You can at the very least a high 2nd round draft choice for Kolb. Maybe even another pick, like a 3rd rounder to along with the 2nd round selection. How about a package deal? More picks in the future? Possibilities are endless, and they are available, NOW. I could see up to an excess of 14-15 teams that could use Kolb, or have plans for him in the near future. That’s half the league! Trade him while his value is hot. Vick is 30 years old, he has at least 4-5 solid years in him, if not more. Use the picks you coup for Kolb to shore up the offensive line, or better yet, a linebacker. Just make the trade. What good is Kolb sitting on the bench? You can get two, possibly three picks for him, which could turn into two, possibly three starters on a team that’s two or three players away from becoming a legitimate contender for years to come. You see how the Eagles excel in the draft. Track record is undeniable. Imagine Vick with a better offensive line. Better yet, a defense with a game-changing LB. Oh, the opportunity, take advantage of it while it’s still there. Its an idea worth considering but is it too early ? Vick has started just one game.